Thank you for using the BIP media API Application Programming Interface (the “BIP media APIs”). By using the BIP media API, you UNCONDITIONALLY CONSENT AND AGREE TO BE BOUND BY AND A PARTY TO THESE TERMS AND CONDITIONS. If you disagree with any of these terms, BIP media does not grant you a license to use the BIP media API. BIP media reserves the right, in its sole discretion to modify this Agreement at any time by posting a notice to BIPmedia.com. You shall be responsible for reviewing and becoming familiar with any such modification. Such modifications are effective upon first posting or notification and use of the BIP media API by Licensee following any such notification constitutes Licensee’s acceptance of the terms and conditions of this Agreement as modified. You can always find the most recent version of these terms here. Your license to the BIP media APIs under these terms continues until either party terminates it. You may terminate the license by discontinuing use of all or any of the BIP media APIs. BIP media may terminate the license at any time for any reason. Your rights to use the BIP media APIs terminate automatically if (i) you violate any of these terms, (ii) BIP media publicly posts a written notice of termination on BIPmedia.com, (iii) BIP media sends a written notice of termination to you (via electronic or other means), or (iv) BIP media disables access to the BIP media APIs to you. If BIP media terminates your license, or you terminate your license, you must immediately cease all use of BIP media content. The BIP media APIs are owned by BIP media, LLC. (hereinafter “BIP media”) and are licensed to you on a worldwide (except as limited below), non-exclusive, non-transferable, non-sublicensable basis on the terms and conditions set forth herein. These terms define legal use of the BIP media APIs, all updates, revisions, substitutions that may be made available by BIP media, and any copies of the BIP media APIs made by or for you. BIP media reserves all rights not expressly granted to you. You shall give BIP media attribution for any and all content used from the site pursuant to paragraph 3. Attempt to cloak or conceal your identity or your application’s identity when requesting authorization to use BIP media APIs. Use (or create applications that use) an unreasonable amount of bandwidth. Cache any BIP media metadata or photos other than for reasonable periods in order to provide your service. Use BIP media APIs for any application that constitutes, promotes or is used in connection with materials that constitute, promote or are used primarily for the purpose of dealing in: spyware, adware, or other malicious programs or code, counterfeit goods, items subject to U.S. embargo, unsolicited mass distribution of email (“spam”), multi-level marketing proposals, hate materials, hacking/surveillance/interception/descrambling equipment, libelous, defamatory, obscene, pornographic, abusive or otherwise offensive content. Use BIP media APIs in any manner or for any purpose that violates any law or regulation, any right of any person, including but not limited to intellectual property rights, rights of privacy, or rights of personality. Use BIP media as a generic image hosting service for banner advertisements, graphics, etc. Use BIP media APIs in a manner that adversely impacts the stability of BIPmedia.com servers or adversely impacts the behavior of other applications using the BIP media APIs. Sell, lease, or sublicense BIP media APIs or access thereto or derive revenues from the use or provision of BIP media APIs, whether for direct commercial or monetary gain or otherwise, except as set forth below. Use BIP media APIs in a manner that is confusing or misleading as to the source or origin of your application or site. If the primary purpose of your application is to derive revenue, it is considered a commercial application. BIP media reserves the right to make these evaluations at the time that you apply for the license. BIP media may also monitor your site or application over time to ensure continued compliance with the appropriate type of API key. Users are charged a fee for your product or a 3rd party’s product or service or a 3rd party’s service that includes some sort of integration using the BIP media APIs. You sell services using BIP media’s APIs to bring users’ BIP media content into your service. Your site is a “destination” site that uses BIP media content to drive traffic and generate revenue. Your site generates revenue by charging users for access to content related to BIP media content such as movies, television shows, and music. If you want to apply for a commercial API key, go to the following form to see what information you need to provide. Lack of specificity or supporting information could delay your application indefinitely, please be very clear in defining your usage. It is always better to include more detail about your application. Please note that in some cases we may grant your request for a commercial API key subject to your payment of fees, such as to help cover infrastructure costs. You shall use the BIP media logo to identify your use of the BIP media APIs. Any use of the BIP media logo in your application shall be less prominent than the logo or mark that primarily describes the application and your use of the BIP media logo shall not imply any endorsement by BIP media. 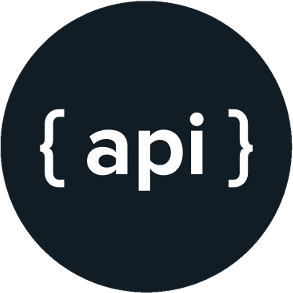 The BIP media APIs may be protected by copyrights, trademarks, service marks, international treaties, and/or other proprietary rights and laws of the U.S. and other countries. BIP media’s rights apply to the BIP media APIs and all output and executables of the BIP media APIs, excluding any software components developed by you, which do not themselves, incorporate the BIP media APIs or any output or executables of the BIP media APIs. You agree to abide by all applicable proprietary rights laws and other laws, as well as any additional copyright notices or restrictions contained in these terms. BIP media owns all rights, title, and interest in and to the BIP media APIs. Except as expressly set forth in Section 1, these terms grant you no right, title, or interest in any intellectual property owned or licensed by BIP media, including (but not limited to) the BIP media APIs and BIP media trademarks. BIP media may elect to provide you with support or modifications for the BIP media APIs (collectively, “Support”), in its sole discretion, and may terminate such Support at any time without notice to you. BIP media may change, suspend, or discontinue any aspect of the BIP media APIs at any time, including the availability of any BIP media APIs. BIP media may also impose limits on certain features and services or restrict your access to parts or all of the BIP media APIs or the BIP media Website without notice or liability. BIP media may require at any time that you use only the most recent update or version of the BIP media APIs released by BIP media. BIP media is committed to free and open access to our APIs for commercial and non-commercial purposes. However, providing the APIs does have real costs for BIP media. For uses of BIP media APIs over a certain rate or for certain types of commercial applications, BIP media reserves the right to charge fees for future use of or access to the BIP media APIs. SOME OF THE BIP media APIS MAY BE EXPERIMENTAL AND NOT TESTED IN ANY MANNER. BIP media DOES NOT REPRESENT OR WARRANT THAT ANY BIP media APIS ARE FREE OF INACCURACIES, ERRORS, BUGS, OR INTERRUPTIONS, OR ARE RELIABLE, ACCURATE, COMPLETE, OR OTHERWISE VALID. THE BIP media APIS ARE PROVIDED “AS IS” WITH NO WARRANTY, EXPRESS OR IMPLIED, OF ANY KIND AND BIP media EXPRESSLY DISCLAIMS ANY AND ALL WARRANTIES AND CONDITIONS, INCLUDING, BUT NOT LIMITED TO, ANY IMPLIED WARRANTY OF MERCHANTABILITY, FITNESS FOR A PARTICULAR PURPOSE, AVAILABILITY, SECURITY, TITLE AND/OR NON-INFRINGEMENT. SOME STATES DO NOT ALLOW LIMITATIONS ON IMPLIED WARRANTIES, SO THE ABOVE LIMITATION MAY NOT APPLY TO YOU. YOU MAY HAVE ADDITIONAL RIGHTS THAT VARY FROM STATE TO STATE. YOUR USE OF BIP media APIS IS AT YOUR OWN DISCRETION AND RISK, AND YOU WILL BE SOLELY RESPONSIBLE FOR ANY DAMAGE THAT RESULTS FROM THE USE OF ANY BIP media APIS INCLUDING, BUT NOT LIMITED TO, ANY DAMAGE TO YOUR COMPUTER SYSTEM OR LOSS OF DATA. REGARDLESS OF WHETHER ANY REMEDY SET FORTH HEREIN FAILS OF ITS ESSENTIAL PURPOSE OR OTHERWISE, AND EXCEPT FOR BODILY INJURY, IN NO EVENT WILL BIP media OR ITS LICENSORS OR SUPPLIERS BE LIABLE TO YOU OR TO ANY THIRD PARTY UNDER ANY TORT, CONTRACT, NEGLIGENCE, COPYRIGHT INFRINGEMENT LIABILITY, STRICT LIABILITY OR OTHER LEGAL OR EQUITABLE THEORY FOR ANY LOST PROFITS, LOST OR CORRUPTED DATA, COMPUTER FAILURE OR MALFUNCTION, INTERRUPTION OF BUSINESS, OR OTHER SPECIAL, INDIRECT, INCIDENTAL OR CONSEQUENTIAL DAMAGES OF ANY KIND ARISING OUT OF THE USE OR INABILITY TO USE THE API, EVEN IF BIP media HAS BEEN ADVISED OF THE POSSIBILITY OF SUCH LOSS OR DAMAGES AND WHETHER OR NOT SUCH LOSS OR DAMAGES ARE FORESEEABLE. SOME STATES DO NOT ALLOW LIMITATIONS ON LIABILITY, SO THE ABOVE LIMITATION MAY NOT APPLY TO YOU. To the maximum extent permitted by applicable law, you hereby release and waive all claims against BIP media, and its subsidiaries, affiliates, officers, agents, licensors, co-branders or other partners, and employees from any and all liability for claims, damages (actual and/or consequential), costs and expenses (including litigation costs and attorneys’ fees) of every kind and nature, arising from or in any way related to your use of BIP media APIs. If you are a California resident, you waive your rights under California Civil Code Section 1542, which states, “A general release does not extend to claims which the creditor does not know or suspect to exist in his favor at the time of executing the release, which if known by him must have materially affected his settlement with the debtor.” You understand that any fact relating to any matter covered by this release may be found to be other than now believed to be true and you accept and assume the risk of such possible differences in fact. In addition, you expressly waive and relinquish any and all rights and benefits that you may have under any other state or federal statute or common law principle of similar effect, to the fullest extent permitted by law. To the maximum extent permitted by applicable law, you agree to hold harmless and indemnify BIP media and its subsidiaries, affiliates, officers, agents, licensors, co-branders or other partners, and employees from and against any third party claim arising from or in any way related to your use of BIP media APIs, including any liability or expense arising from all claims, losses, damages (actual and/or consequential), suits, judgments, litigation costs and attorneys’ fees, of every kind and nature. BIP media shall use good faith efforts to provide you with written notice of such claim, suit or action.